No setup fees. Quarterly billing. Price in RMB including VAT. 1 Required in combination with any of the features below. Base price and prices below are per physical location (outlet). The base price includes the backend, reporting, unlimited user accounts, and basic customer support. Quarterly billing, contracts will automatically renew every 3 months with a 30 day cancellation period. No setup fees. 2 Up to 15k orders per month. Please contact us for larger volumes. Prices quoted here are for cloud hosted managed systems. Please get in touch for self-hosted systems on your own servers. 3 This does not include hardware. More terminals can easily be added (or removed) as needed. 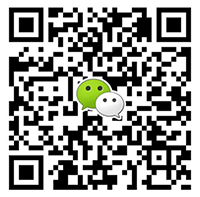 Start taking delivery or pick-up orders through WeChat with a customizable bi-lingual online shop. No payment transaction fees. As a wholesale business, allow your clients to place purchase orders through a dedicated interface, or in their NoshPos Kitchen Module. 5 To accept payments you need to have your own accounts with payment providers such as WeChat Pay. Control waste, transfers, production and purchases. Create recipes for prep and purchase items, and track stock levels in real-time. Place purchase orders to suppliers directly through NoshPos. Received orders will automatically be added to the finance system. Maintain and expand your client base with discounts, vouchers, coupons, product upsell, volume discounts and more. Track and manage cash and supplier expenses on a store and office level directly through the POS or the back-end interface. You can administrate the entire system yourself through an online backend. However, if you want to save time and let us help you, sign up for the service package to have your own key account manager who will help you manage and maintain your shops, POS system and reporting. This includes 30 minutes per month of our time, and we help you with everything from setting up discounts, marketing campaigns, upload products, create special page in the shops, extracting reports, or anything else you would need help with. There's no Setup Fee and payment starts after a 30 day free trial, so reach out to us to setup your account. However, setting up an online shop, POS system and inventory system is a very time consuming lengthy process. We are happy to support you with getting your system up and running in no time. Just send us an Excel file with all your products, sets, modifiers, discounts, staff, and other required data, and we'll set up the entire system for you, so that it's ready to use. This saves you days and potentially a lot of headache. Setting up the inventory system requires uploading all your purchase items, suppliers, price lists, and you need to create recipes and do initial counts. This might take you days. We can help you with this and train your team on how to use it. We will be at your venue before the launch to train everyone in your team on how to use the POS (approx. 2 hours). On the day of the launch one of our team members will be there for most of the day (up to 8 hours) to be on standby if there are any questions.